Justice4Trayvon blackout box, July 12, 2013. (http://jet.com). Regardless of the verdict in the Florida v. Zimmerman (a.k.a. Justice4Trayvon) trial, there’s one sad and terrifying lesson to take away from the past seventeen months. No Black male past puberty can assume themselves to be safe once they leave their homes to do so much as to cross the street. It doesn’t matter if you’re 6’1″ and 173 pounds, like I was my senior year of high school, or 6’6″ and 300 pounds, like a good- sized high school offensive lineman. We’re not just assumed guilty. We’re assumed to have a value the equivalent of a quart of recycled cooking oil. It amazes me that with as much walking as I did while growing up in Mount Vernon and in walking all through the city, I only faced a handful of Walking While Black incidents. From the time my Mom and my late idiot ex-stepfather Maurice moved me and my older brother Darren into 616, I was a frequent walker. At seven, my Mom sent us to the store for groceries, for soda, for cigarettes and pork rinds. Yeah, the store was a block and a half away on East Lincoln, but that block and a half led to my first mugging at nine. By then, my walks to the store went into Pelham and Milk ‘n Things, a three-block walk, as well as stores within three blocks of the Pelham border. That led to the first weird stares from Italian store owners. At the same time, when my father Jimme came back into our lives in ’79, we’d walk to Mount Vernon’s South Side. We’d walk to East Third Street and Wino Park on Fulton and Third, to the rib shack across the street from the park, to Sanford Blvd, even into the Bronx depending on Jimme’s alcohol level. That would lead to confrontations with street folks, and even occasional stares from cops. 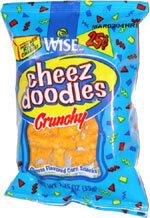 Wise Cheez Doodles, one of my favorites to buy as a teenager, July 12, 2013. (http://twitter.com). By the time I hit puberty in the spring and summer of ’82, in no small part because of the collapse of anything resembling a family at Hebrew-Israelite 616, I began to walk everywhere. Some of my walks were because my Mom’s marriage had given her more mouths to feed and no time to go to the store. So me (mostly) and Darren (on occasion) would walk from 616 to stores like C-Town in Pelham (a mile or so away), Waldbaum’s on East Prospect (a mile and a quarter away) or stores in between for food. This became part of an eventual everyday routine, one that would last until well after I began college at the University of Pittsburgh (at least, when I was home for the holidays or the summer). We also walked to get my younger brothers and sister Sarai out of the stifling apartment, especially because it was quite literally so during the summer months. We walked from 616 to Pelham, Pelham Manor, the Bronx, Bronxville and New Rochelle in those first couple of summers after puberty. The kids helped us look less suspicious, I suppose, because two teenage Black males had no business being anywhere near the six-figure-income-set’s communities in the mid-80s (or even now) otherwise. I also began walking to explore, escape and think. It was next to impossible to think at home, with the constant noise, threats of abuse and actual abuse and domestic violence. So by the time I’d reached tenth grade, I needed to walk, by myself and with no agenda other than to make plans for my future while clearing my head. I did get followed by Bronxville PD a couple of times. But mostly, lost Whites from out-of-state would stop and ask for directions to the Bronx River Parkway or I-87. Hershey’s Chocolate Milk (at 17, a 16oz was my favorite store-bought drink), July 12, 2013.  (http://www.gifarmer.com). It wasn’t until after my seventeenth birthday — when I finally began to put on a little weight (muscle, I guess) — that walking around New York, Mount Vernon and nearby environs began to feel dangerous. Or at least, others began to act as if I was the danger. I’d become a regular weekend strap-hanger on the 2 out of 241st Street headed either to the Upper West Side, Midtown or Downtown, as well as parts of the Bronx. To hunt for the latest tapes, to go to a museum or a library, to just walk around and take the city in. But I also knew to be careful, to be leery of the NYPD, to keep my hands out of my pockets whenever I went to Tower Records or Crazy Eddie’s or even Gray’s Papaya. Still, there were incidents at Milk-N-Things and Tower Records and a general feeling that folks, older, often White but also frequently Black were genuinely afraid that I — a person who’d been mugged four times before my fourteenth birthday — would hurt them. Walking was how I learned how different I was from a societal perspective. That though a teenage, I was the dangerous Black male, to be treated as if I just escaped the plantation, as if I hope to find a store to knock over and a White girl to knock up against her will. I’d hoped to spare my son this lesson. Sadly, because of George Zimmerman killing Trayvon Martin, I can’t. But at least he won’t have to learn this lesson from scratch like I did. And luckily, I knew and did enough to avoid danger — or being seen as the danger — long before I turned seventeen.